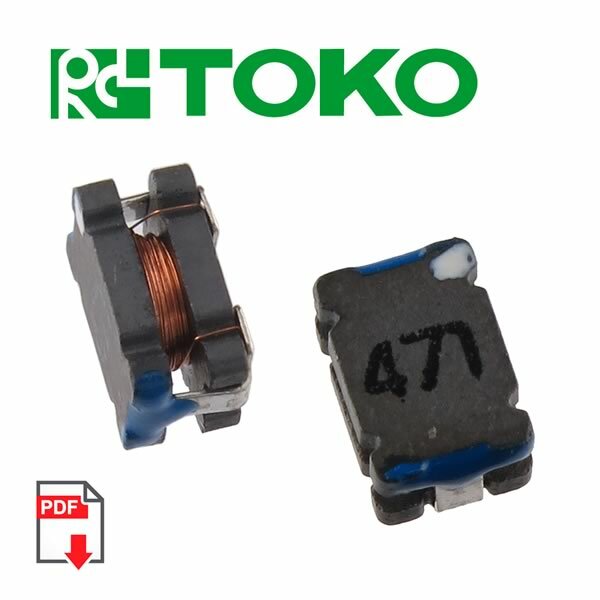 SMD 470uH inductor can handle 45mA. Has Ferrite core. Case size is 4.5mm x 3.2mm. Specs: Qu min = 50; DC Res max=11.4Ω; Q Test Frequency=0.792MHz; DC (I)=45mA; SRF=3.1MHz. Toko Part# 300HS-471J=P2. Sold in a package of 5.